The choice for a website theme is rather tough for the designers. 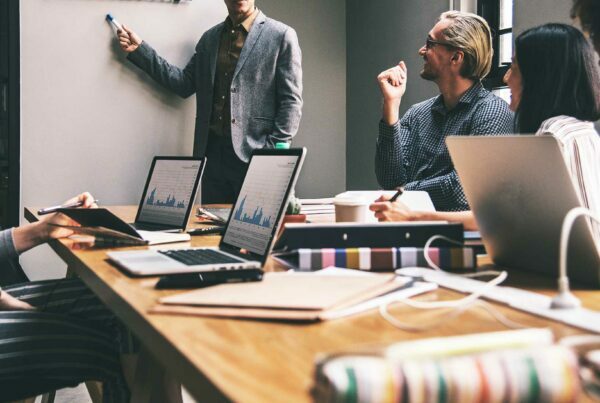 The website layout speaks a lot about its owner, and if given careful thought to it can establish a really trustworthy online presence for you and skyrocket the number of your website visitors and clients. On the other hand, an outdated and poorly crafted website will not only turn away your clients but will cast a shadow on your entire career. There is a handful of WordPress themes looming on the horizon every day. But the problem is, not all the themes are created equal and not all of them are able to stand the test of time and quality. With this in mind, I’ve handpicked several modern and functional themes that would be a perfect match for the designers searching for a way to best showcase their works online. Here you have them! 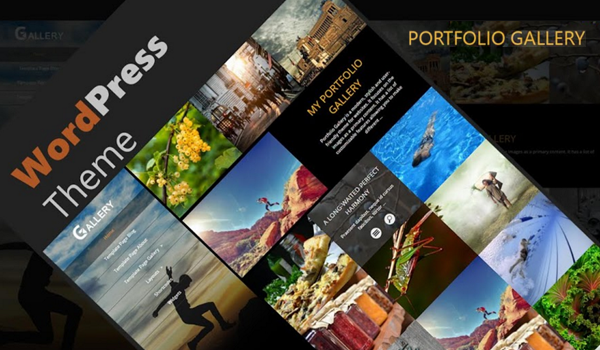 Portfolio Gallery theme comes with a cutting edge design and functionality for showcasing portfolios, collections, galleries and albums. With its beautiful layout options, advanced features, easy to use backend management and flexible customization it’s a perfect choice for the designers willing to impress clients and website visitors. You can showcase your galleries and posts with large image thumbs and play the slideshow of the images in the advanced lightbox of the theme. It comes with 10 page templates and highly customizable widget areas where you can display various advertisement widgets including AdSense. The theme is SEO-friendly and will ensure the collections of your works and projects are seen by search engines. Check the Portfolio Gallery demo to see all of its amazing features in use. 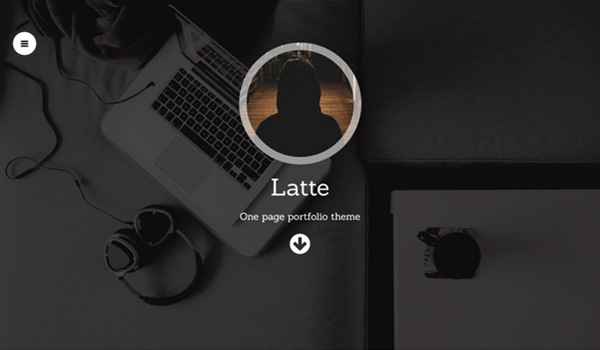 Latte is a new, yet already popular WordPress theme for designers. 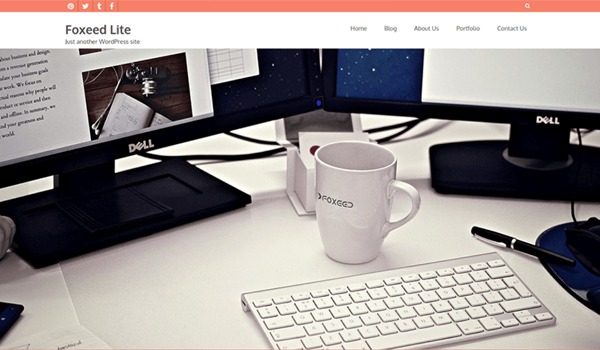 It’s a one-page parallax theme ideal for showcasing your profile and work. The theme adjusts to all sized devices and allows you to customize its every part straight from the customizer. It includes different sections, where you can display your website info in an organized way. Among the sections are services, portfolio, maps, testimonials, blog, contact form, etc. The theme also comes with versatile color customization options from background to menu icons. If Latte got your interest, check the theme demo. With a lot of white space,clean and modern interface, Aberration Lite is a good choice for designers who value minimalist design. With its nicely styled gallery and advanced features you’ll be able to highlight your most important works and showcase them in the best way. The theme comes with multiple page templates, 4 blog style post formats, 18 sidebar positions, custom gallery styling and other customizable features to refine your website according to your needs. You’ll be able to personalize the theme in just a few clicks, and get to charm your visitors. 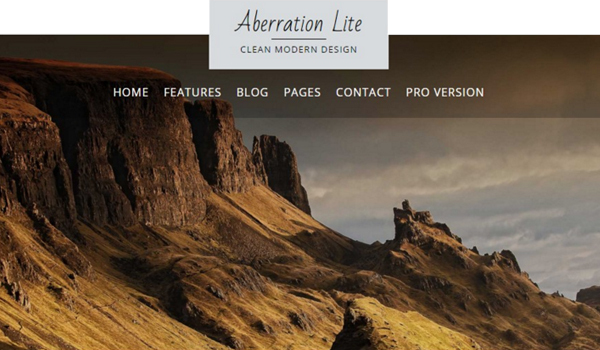 If you want to find out more about Aberration Lite check the theme demo. Foxeed is a new, lightweight and creative WordPress theme, targeting construction and building companies, interior, painting or portfolio websites. It’s responsive, featuring a slider on the homepage to instantly drive attention on your most important highlights. With its animated filterable portfolio, you’ll be able to display your achievements and collections with style. out, to see how it actually looks and works. A theme with a simple rhythm and harmony-this is the right slogan for this perfectly crafted theme. Its simple, yet attractive design will make your website visitors focus more on its content. Big image thumbs, overlayer hovering effects, grid-based layout, top search bar and various page styles make it an ideal choice for showcasing portfolios and rich visual content. 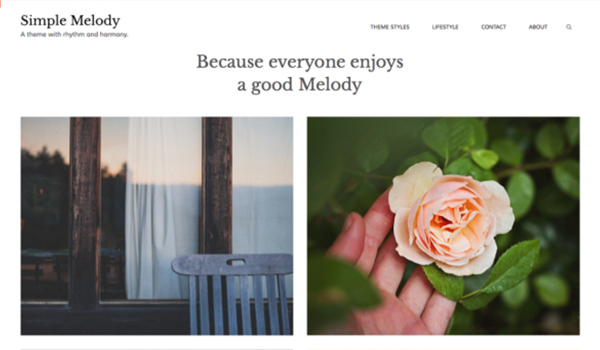 If you’re looking for beautiful WordPress themes to showcase your collections, galleries or accomplishments in the best way, this short list can be a good source for you. All the themes presented in the list offer high quality, beautiful design and flexibility to best fit your personal needs. Take your pick from the list and get to impress your visitors.